Warning: major spoilers ahead for Episode 15 of Season 4 of Arrow. After a few episodes that have had the baby mama drama brewing in the background, Arrow finally went all out in “Taken” and brought the plot of Oliver’s secret kid into the spotlight. Worlds collided on Arrow as William’s kidnapping forced Oliver to reveal the truth of his son to the rest of the team, some of whom took it better than others. Luckily, thanks to a joint effort of Team Arrow and Mari McCabe as Vixen, William was rescued from the evil clutches of Damien Darhk. Sadly, Oliver realized that William would never be safe if they were in each other’s lives, and so he sent William and Samantha off to a future without him. Well...sadly for Oliver. For the rest of us, the handling of this sub-narrative has been such a drag on the second half of Season 4 that something drastic needed to be done to try to rehab the story. William and Samantha being shipped off to a happily-ever-after somewhere off-screen was the best possible outcome. There had been potential for some great exploration of Oliver’s character as a father back when the plot was introduced, but William and Samantha were definitely due for a one-way ticket out of the Flarrow-verse. Now, the Claytons simply being shipped off – to Fiji, perhaps? – doesn't mean that they could never come back at a later date, and neither mother nor child should be definitively crossed off the list of candidates for the grave. But killing William off to get rid of him in “Taken” would have been a misstep for Arrow. William hasn’t been enough of a presence for audiences to get so attached to him that we’d miss him, but Oliver would certainly need to mourn. Two big deaths to him in one season would be overkill. Besides, with William alive, none of us have to feel guilty if we get the urge to spontaneously shout “Ding dong, the kid is gone!” to the heavens. 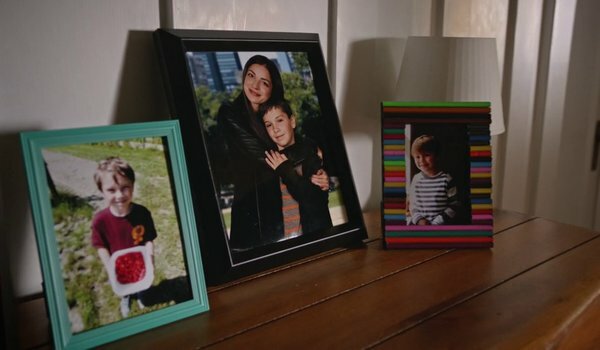 Oliver’s decision to remove himself from William’s life was actually one of the most mature choices that he’s made in a long time, and it reflects well on him that he listened to Mari’s advice on doing what is best for his son. Part of the reason why the secret family drama was such a tragedy of a storyline was because Oliver had to be selfish and reckless in order for it to work; for all of his many faults, Oliver has always been careful when it comes to knowingly endangering those whom he considers family. By letting Oliver ultimately remove himself from the Clayton equation rather than having Samantha force him, or letting Damien Darhk kill them, he’s showing shades of the Oliver Queen who made sacrifices to become the Green Arrow rather than the Ollie who got a woman pregnant while cheating on his girlfriend. Oliver may be moody and broody as he is now, but he’s still a vast improvement on pre-island Ollie. If William being gone means early Season 4 Oliver can come back, then the tot's exit in "Taken" will be all the sweeter. William being lifted right out of the narrative may also mean the other major plots will have room to fully develop. The breakup of Oliver and Felicity will need to be explored at length, considering how she has been built up as the person who helps bring out the light in him, and Felicity suddenly regaining the ability to walk in the final moments of “Taken” needs to be expanded upon sooner rather than later. Throw in the fact that somebody still needs to die and be buried so that Oliver can vow to start killing again, and there just wasn’t room for Oliver to be securing visitation rights and chatting baseball with a ten-year old in what's left of Season 4. Arrow dealt with Oliver’s kid in the best way that was possible with the story that had been written, and we can hope that the rest of Season 4 is better than ever now that the baby mama drama has been tackled. There are still plenty of crazy plotlines to be explored. Arrow airs on Wednesday nights at 8 p.m. ET on The CW. The series is currently on a break until March 23, so feel free to join me in a chorus of “Ding dong, the kid is gone!” as we head off into our mini-hiatus.